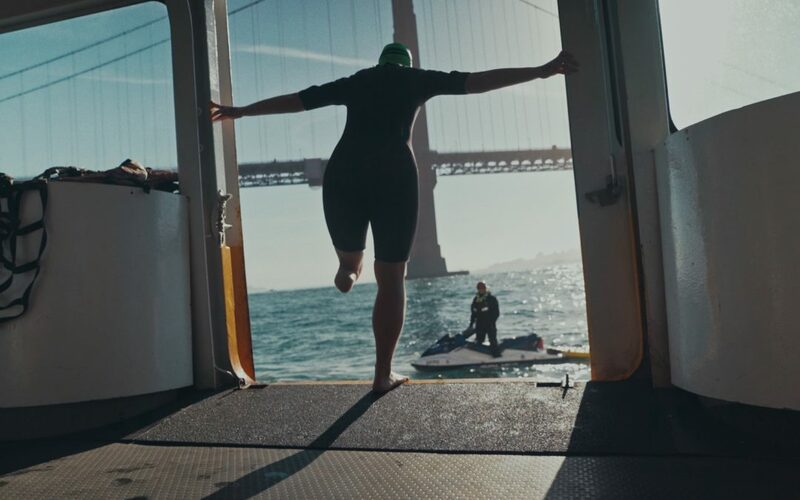 FOR IMMEDIATE RELEASE — A film chronicling the accomplishments of 27-year-old amputee/ultratriathlete Nicole Ver Kuilen [pronounced Vur-KAI’-ln], in which she and a support team of three additional women completed a two-month, 1500-mile triathlon from Northern Washington to Southern California, has been honored by two leading film festivals, the Sonoma International Film Festival and Taos Shortz Film Festival. The film premiered at Taos Shortz on March 22 and 24, and won the award for Best Documentary. The film will be screened in Sonoma on March 29 and 30. 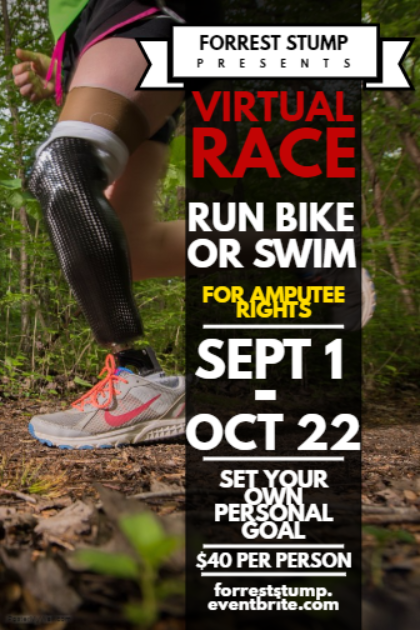 The ultratriathlon event was undertaken to call attention to discrimination against aspiring amputee athletes who are denied access to state-of-the-art prostheses by third party payors, both governmental agencies and private insurance companies, allegedly to cut costs. “It is indeed telling when aspiring amputee athletes literally have to hold a bake sale to raise the funds necessary to obtain state-of-the-art prostheses and pay entry and travel fees to compete, let alone improve their quality of life,” said Executive Producer Larry Landis. It is common practice for such payors to deny access to state-of-the-art, advanced prosthetic devices to amputees seeking to rebuild and mainstream their lives through athletic competition. Those payors insist that a “walking prosthesis” is the maximum that is “medically necessary,” often denying amputees the opportunity to aspire to national or world-class competition. Ver Kuilen was diagnosed with bone cancer at an early age, and underwent a below-the-knee amputation of her left leg at the age of 10. After recovering from the aftereffects of chemotherapy, and rehabilitating from the surgery, she resumed athletic activities, including such events as 5K’s, employing suboptimal prosthetic devices, while continuing to unsuccessfully battle her insurance carrier. In virtually every respect, Nicole pursued a “normal” life, graduating from the University of Michigan’s Ross School of Business with High Distinction and starting a business career. Eventually, however, she became so frustrated with the stonewalling of third party payors that she quit her job and founded Forrest Stump, the tongue-in-cheek name for her nonprofit advocacy organization targeting device fairness and supporting the desire to reach higher among “disabled” athletes. “Being an athlete is a core part of my identity. Sport gives me independence, social connections, and empowers me to achieve more. I don’t understand why the medical community supports able-bodied athletes, but doesn’t support me,” Ver Kuilen added. The film is a co-production of Snowday, the lead production company, and Forrest Stump. The film was conceived when Ver Kuilen met Chris Duncan, a filmmaker at Snowday, who directed the film. Both graduates of the University of Michigan, Nicole and Chris bonded over their love for triathlon and passion to make a difference. Chris notes that it was because of a short film about the Paralympics called, “Meet the Superhumans,” that he was first inspired to become a filmmaker. “ ‘1500 Miles’ represents an almost storybook coming-together of the inspiration and incredible persistence of Nicole and the insight of Chris, who immediately saw the compelling nature of the narrative and was determined to do justice to the accomplishment,” said Landis, himself an amputee who lost his lower left leg to an opportunistic infection at the age of 71. “Nicole’s achievement ranks among the all-time ultra-athletic accomplishments of amputees. Viewed as a singular event, it is breathtaking. When you realize that one small element of the journey involved swimming the treacherous Golden Gate Strait, which alone represented less than one tenth of one percent of the journey, the scope and magnitude of the undertaking becomes more apparent. Importantly, Chris also captures a sense of the additional challenges which Nicole had to overcome in order to achieve such an accomplishment,” noted Landis. “This is only the most singular accomplishment of this remarkable woman,” he continued. “She recently took home a silver medal at the Paratriathlon American Championships, and earlier in the year she was among a group of 11 amputees with the Range of Motion Project to successfully summit the 19,347-foot volcano Cotopaxi in Ecuador,” Landis concluded.